Philadelphia based artist Alex G has been pumping out albums that mix odd genres/styles and recently shot to national fame after Frank Ocean asked him to play on some of his tracks. 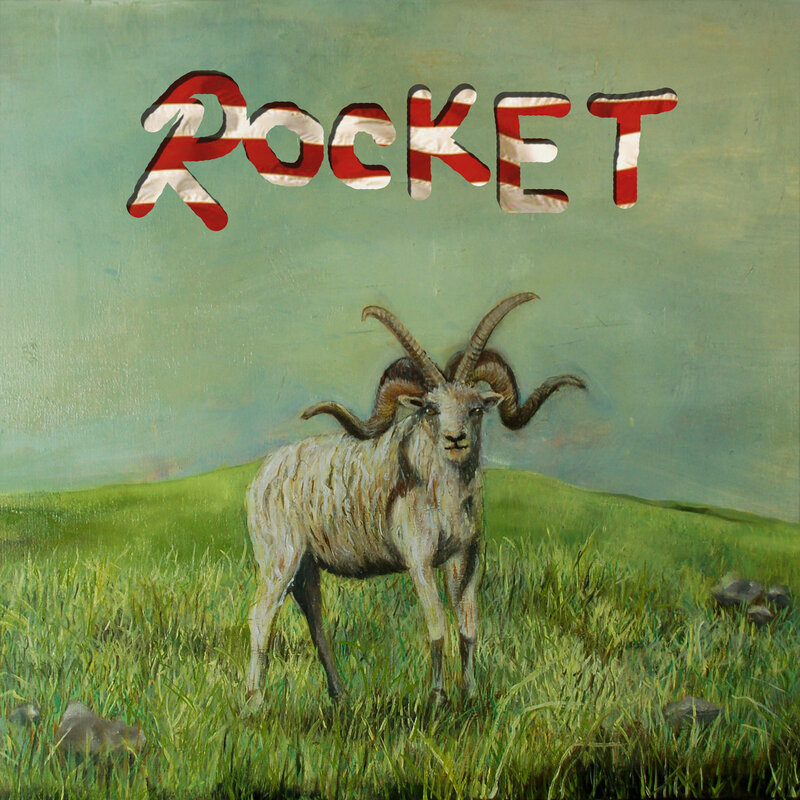 Rocket is the eighth full length release from Alex G and finds him experimenting with DIY sounds in (mostly) sunshiny pop fashion. Lots of randomness but very rarely does the disk move away from simple pop song structures while working with four track (and beyond) limitations. On the duet "Bobby" all facets seem to interlock as Emily Yacina joins working an american sound up from the ashes. Other highlights are, "County" a creakily bubbling bass soul effort that displays some mindbogglingly beautiful guitar sounds before "Judge" pushes the up lever on the creepy cool factor. "Powerful Man" takes to the dusty mid American prairie with gusto while closer "Guilty" manages to expertly incorporate a smooth late night saxophone into the mix. All of these are solid efforts using organs, fiddles, and the kitchen sink messing around with vocals in-front/behind the sound, latching on to the off-kilter pop ear. On "Sportstar" he dips directly into Oceans world with vocal effects, a distorted modern hip hop beat and infectious piano line. The track is a bright example of how comfortable Alex G is when blurring genre lines and would hold up well if any artist decided to cover it. He remains offbeat and experimental as well. "Horse" is a soundscape of noises that finishes just as it gets annoying while "Brick" mixes metal, hip hop and noise rock in an almost successful fashion. There is also a lot of mid level filler with indie folksie tracks "Posion Root", "Proud" and "Guilty" but by throwing out all of these short tunes to choose from, the best do stick around after their brief running time. There is a ton on Rocket that reminds of early era Beck; while not as experimental or raucous the idea of anything-goes-exploration is vivid. Songs jump not only genres, but production levels and listen-ability; as if Alex G has so much to say he rarely filters anything out. This is an admirable trait and provides an enjoyable roots filled ride on Rocket. Dylan Cover #305 Oren Lavie "Fourth Time Around"